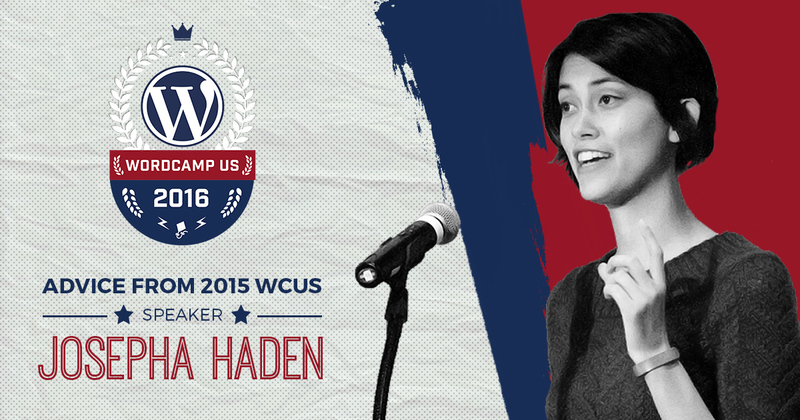 We recently interviewed Automattician Josepha Haden about speaking at WordCamp US (aka WCUS). We also learned about how she’s bridging the digital divide with education and advocacy. What are you doing to get the younger students more digitally literate? Josepha mentioned that the collaborative and non-hierarchical nature of working on an open source project has been a surprising sticking point in elementary educational structures. That said, she’s excited to see WordPress being used and enthusiastically supported in the Higher Education Community with conferences like WP Campus. Josepha goes into detail about bridging the digital divide in her 2015 talk at WordCamp New York City that you can watch on WordPress.tv. When bridging digital divides, do you set up a meetup or go in a school? How is this done? Why is it a hard sell? In many cases, the parents of those underserved in technology are living hand to mouth and, not surprisingly, they encourage their children to work in a job that pays money immediately, rather than sitting down at a computer. Josepha believes it’s important to reach and educate this demographic as the marketable skills taught in development have a higher pay potential, though not necessarily immediate. What’s Josepha’s WordPress Origin Story? Josepha’s background was in vocal performance and data analysis. It seems like a strange combination but has helped her in her current role in technology advocacy. Learning to encourage others in the team-building aspects of drama and theatre has given her the tools to communicate her passion in digital literacy. She sees a need, like digital literacy, and addresses it. She was a founding board member for the group Kansas City Women in Technology. Where are you at with planning your WCUS talk? “My outline is done. Slides mostly done. I’m at the part where I run through it regularly and know what I’m saying. I don’t like to memorize my presentations, and I don’t like to plan all of it. I plan about 68% and just watch the audience and see what’s resonating. As a performance artist, do you practice facial expressions / body language, too? “I don’t necessarily keep track of my facial expressions but I do pay attention to the hand gestures that are likely to go with certain thoughts. The part of your brain that is trying to remember a word, is closely related to the part of your brain that controls hand gestures. I pay attention to how much I’m pacing. It can often look like a tiger in a cage. That is not good in a speaker. What is your advice to this year’s WCUS Speakers? The first step to speaking at a WordCamp is applying. It seems obvious but so many people don’t apply because they’re afraid. Josepha noted that first-time speakers may have a hard time submitting a good speaker application, but the worst that can happen is a no; then you try again. As for the actual presentation, she recommends against using slides as your speaker notes. Josepha also recommends making eye contact to connect and engage with the audience. What are some of your goals in attending WCUS as an Automattician? “I have broad open goals and specific goals with our team. My broad open goals are always to meet new people, I try not to meet the people I talk to every day. From an idealistic and inclusive mindset, she’d like to see enough WordCamps for an event to be an easy drive/train ride for anyone. WordCamp Central says they’ll support about 118 WordCamps this year. Having more local WordCamps, as opposed to larger regional camps, lessens the financial burden for freelancers (travel, hotel, time loss for work). She notes that one out of four people we meet are working in WordPress and they’re just like you and me. “If WordCamps are a ½ road trip away without too much financial burden, that will cause the whole program to reflect what we’re doing with WordPress in general. Watch Josepha Haden’s 2015 WordCamp US Talk here. We can’t wait to attend her talk at this year’s WCUS!